Emerging from their belief that good quality olive oil is indispensable to any household, in 1953 three young Kobayter brothers embarked on what would be one of Lebanon's first companies to produce and package branded olive oil. Staying true to their mediterranean passion for olives and olive oil they carefully crafted and packed their new brand which they named AL WAZIR. 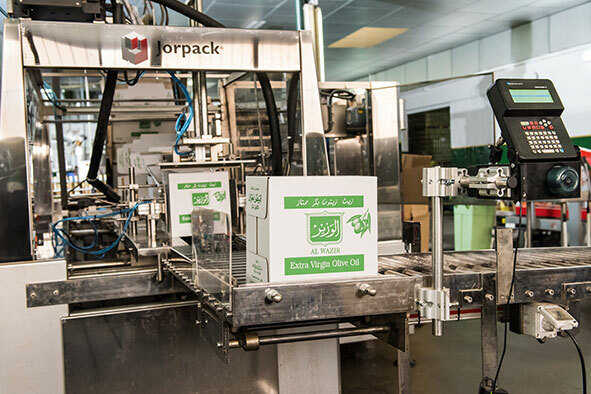 After a few years of success within Lebanon and abroad, it became evident that the brand needed to grow even further and start introducing olive oil to markets that had no yet begun to understand the benefits of this delicious, healthy and versatile product. To do this they needed to find a large olive oil producing country from which to source the best produce there was. After many trips to the largest olive oil cultivators, in search for an olive oil that would best reflect their home grown variety and maintain their high standard of taste, they found their ideal location in Andalucia, Spain. KOBAYTER S.A. was founded as an independent entity, in 1988 in Churriana, Malaga. The resulting combination of Middle Eastern descent and a lifelong experience in the south of Spain makes KOBAYTER S.A. understand and respect the product on both gastronomic and cultural levels. For over 25 years, KOBAYTER S.A. has maintained the highest standards in taste, quality and packaging of olive oil. The brand "AL WAZIR" has reached homes all over the world, starting with the Middle East and Africa and witnessing an expansion to Europe, the US and Canada. Spain is the world's largest olive oil producer accounting for almost half of the total world production of olive oil. Our location in Andalucia, which is where approximately 75% of the country's production happens, makes us ideally surrounded to hand-pick our producers depending on our exact requirements. Over the years our research and development team has created a list of preferred olive growers and olive oil producers thanks to the help of our expert tasters. 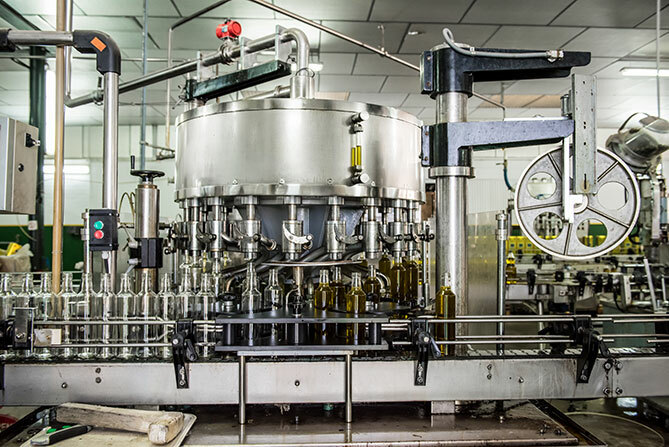 Being primarily a bottling and exporting facility means we put a lot of emphasis on finding the right suppliers, from olive oil producers to bottle manufacturers. Our team has extensive experience and an inherent passion for the best olive oils. Every new harvest, in October, we reach out to our producers which we know will take the utmost care to provide us with the highest quality produce they have. Our expert tasters will collect samples from them and proceed to taste each sample closely and fine tune their selection according to our organoleptic standards and the oil's chemical properties. Once the preferred olive oils are chosen and bought they arrive at our facilities where they undergo filtration and sorting in order to prepare the three different types of olive oil we offer. Also of utmost importance is the attention to detail we place in our bottling, labelling and packaging lines. Our production and logistics team works daily to improve our final product and efficiency in serving our clients. We recently worked alongside our bottle manufacturer to create our patented 'KOBAYTER' Dorica bottle which we designed and tested to be able to reduce weight while increasing its height over similar models in the market. We have formed many relationships throughout the years and we tend to be solid and loyal to most of our collaborators, a testament which our long standing distributors can attest to. We are constantly striving to help them grow through us and to help them make our brands grow in their respective markets. Since 1988, our factory has been filling high quality olive oil for our clients worldwide. We currently have four production lines, one for our tins and the other three for the different kinds of bottles that we are able to work with. Depending on the bottle or tin types our machines can fill from 3500 to 10,000 tins/bottles per 8 working hours. On average in any given 8 hour work day our facility can package up to 50,000L of olive oil. Our equipment has been designed so that we can handle our large variety of package shapes and sizes but also most of the market's existing bottle and tin dimensions. Our process is simple, efficient and respects our raw product throughout the bottling and packing process. When the olive oil arrives at our facility it undergoes a natural decantation into specialised vertical deposits. After this, the oil goes through a completely mechanical filtration process that removes impurities and moisture without altering the product in any other way. After filtration the oil is decanted into another set of specialised deposits, ready for filling. As per regulations the oil is then transferred into deposits that are above ground level to allow for vertical filling propelled by the weight of the olive oil. Once the bottle or tin is filled it continues on to be closed, labelled and finally placed in its corresponding carton ready for delivery. 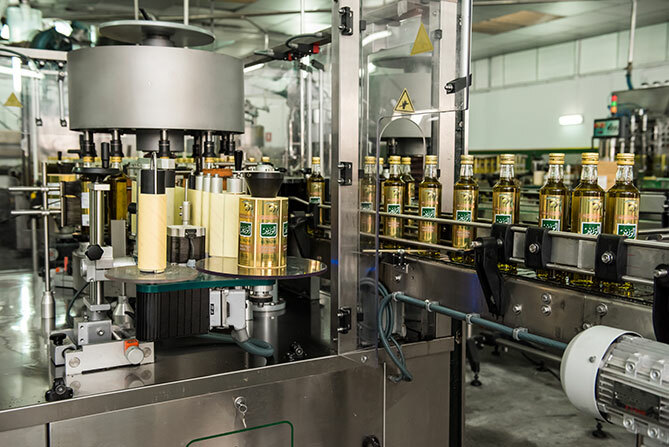 Our machinery has been designed and modified to fit the packaging of almost every bottle and tin size and shape available, making it very easy for us to provide a full service to companies that want private labels for their brands of olive oil, to work with us. We are also in the process of applying to obtain an ISO 22000 certification.